The WSEZ for a Wałbrzych middle school - WSSE "INVEST-PARK". Wałbrzyska Specjalna Strefa Ekonomiczna "INVEST-PARK". “How to determine the reaction of a solution?” – this was the subject of a chemistry lesson that took place in the Public Middle School no. 6 in Wałbrzych. 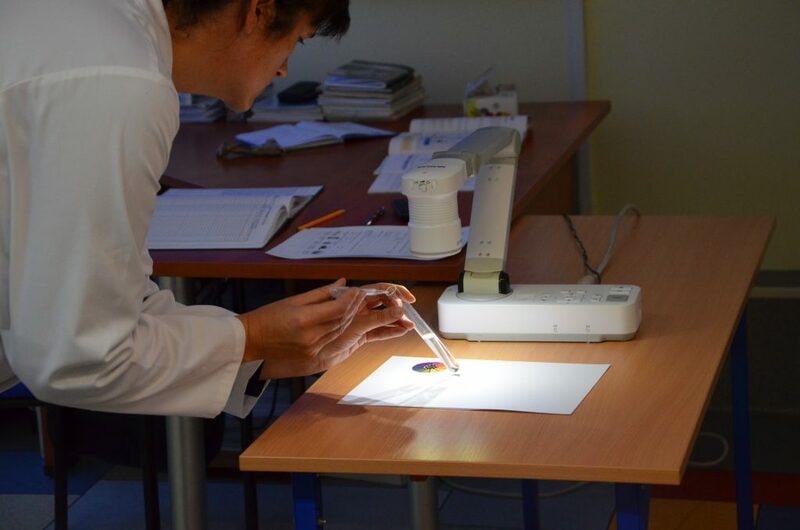 During the lesson, the new equipment for the chemistry classroom was presented. The students will now be able to use a professional digital visualizer, which will make the lessons much more attractive. Purchasing the equipment was possible thanks to the support of the company managing the Wałbrzych Special Economic Zone “INVEST-PARK”. A visualizer is a multimedia device which, in essence, combines the functions of a scanner and a video camera. It also offers the possibility of capturing sounds. It is used to display a two or three-dimensional object, using a projector, a TV set or any other screen. This was not the first time when “INVEST-PARK” supported Middle School no. 6. Last year, the company donated funds to purchase a fume hood, which is used in chemical experiments with solid, liquid and gaseous substances.